Granite is the jumping off point for several outdoor opportunities including hiking, mountain biking, snowmobiling, mine exploring, Olive Lake, and several other options. Within the town of Granite you will find several historic buildings including a schoolhouse, church, general store, and dance hall. Granite is still inhabited with a population of 38 as of the 2010 census (source: Wikipedia). Services in Granite include the Granite Outback (general store and gasoline) and The Lodge at Granite. Howard Brooks notes, “Gold was discovered on Granite Creek on Independance Day, July 4, 1862, by a group of of prospectors from California on their way up to gold camps in Idaho.” This finding led to other groups to joining in, and a settlement was established ½ mile west of the current site of Granite. Initially, the town was called “Independance” because of the date that gold was discovered. However, when the town applied for a post-office in 1874, the name was changed to Granite, as the name Independance was already taken. Today, you can still explore the old buildings. 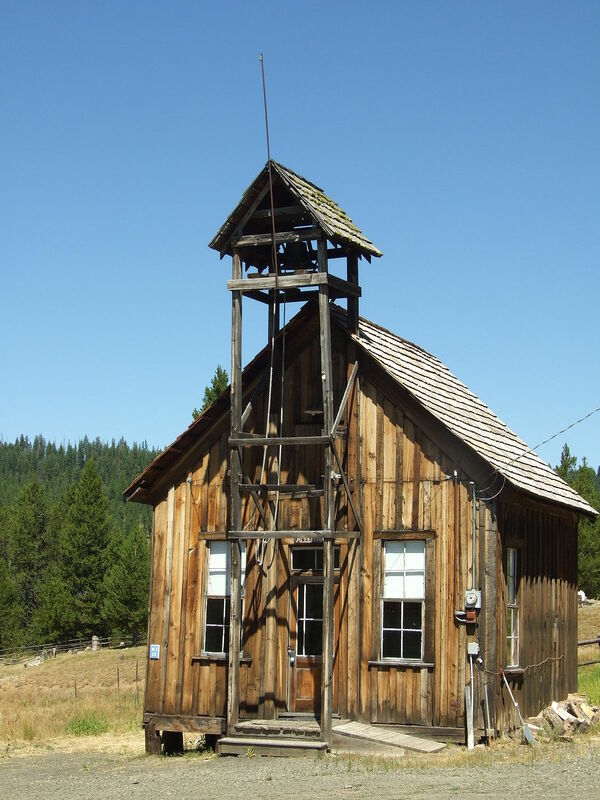 Several old mining operations including the Cougar-Independence mine are still accessible and are a short drive from Granite. Granite is a good jumping off point if you are planning to visit the Fremont Powerhouse, Olive Lake, or the North Fork of the John Day River Trail. Some of our favorite trails include the North Fork of the John Day River Trail, the Olive Lake perimeter trail, Blue Mountain Trail, Lake Creek, Granite Creek, and Mount Ireland. Do yourself a favor and pick up a copy of William Sullivan’s “100 Hikes: Travel Guide Eastern Oregon” at the Dredge visitor center, and you’ll be well equipped to do some exploring. The road quickly turns north as you reach the outskirts of town. Follow this road (now Granite Hill Road according to Google) up and over Blue Springs Summit (elevation 5864 feet). The road surface is good pavement the whole way. Take a right on W Center Street to enter town. Note: Granite is accessed via Highway 410 during the majority of winter months.